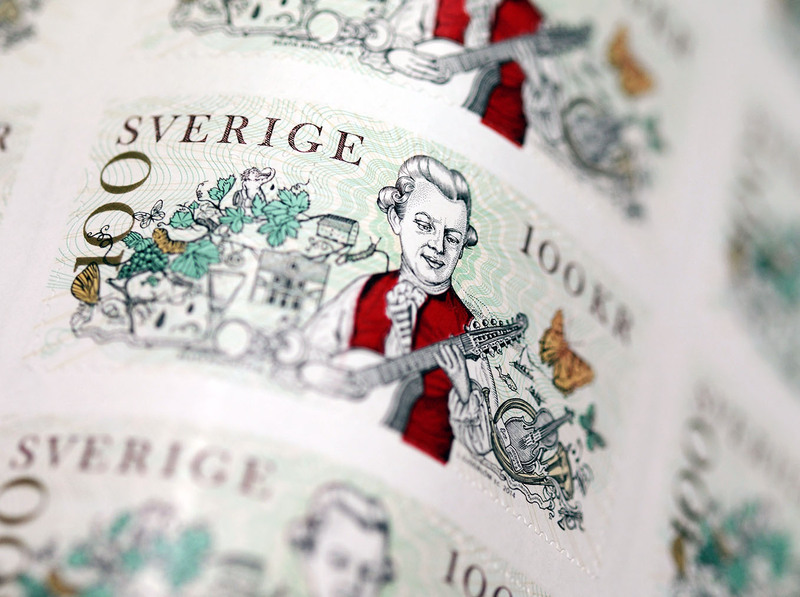 The high value-stamp 100 kr Bellman, seen here going through the rollers of the printing press. It was a very ambitious project. The team consisted among others of Beata Bucht, a well known illustrator and Lars Sjööblom, the master engraver with whom I have done most of my entaglio stamp designs. As it was the highest denomination of a stamp in Sweden, the stamp itself was packed with lots of security features. Micro-text, special inks and safety die-cuts are some of them. The most expensive stamp done in Sweden. The Carl-Michael Bellman 100 kr.